We are going to make some fun lacing cards. What are they? 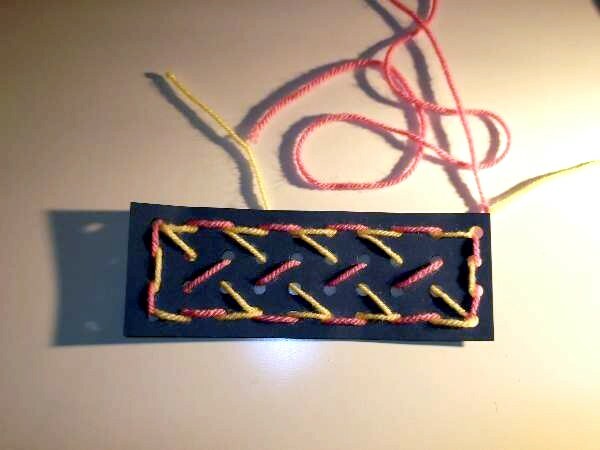 They are a fun way for children to learn to lace and tie things. An appropriate subject for our KKC preschool crafts. First you will need some sturdy craft card. It does not need to be too thick, just stiff enough to work with and lace up without flopping. Make them from animal shapes! Here is how to make a teddy bear. It is the same principle but children at this age usually find drawing something like a teddy too hard. You can have bears ready for coloring by printing them out beforehand. 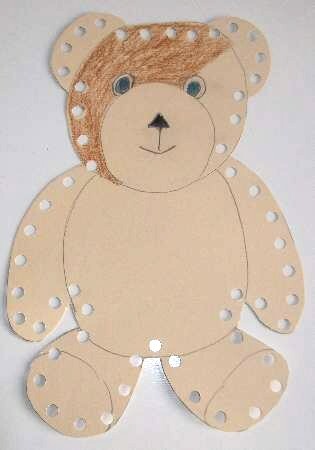 Cut out the bears for them after they have finished which will remove any overlapping color, then punch out the holes. Older children can stick on googly eyes where as younger children can use stickers. 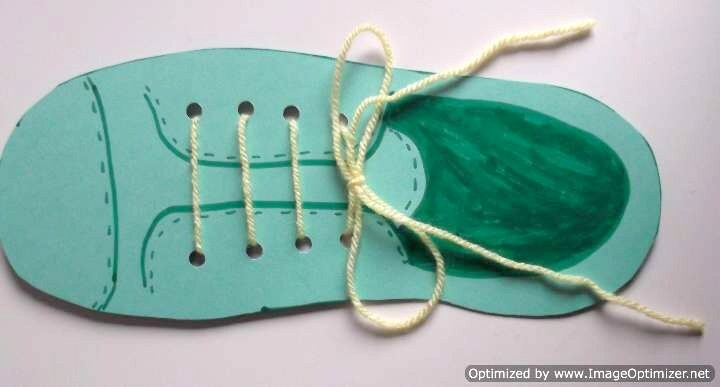 Ask the children to take one of their shoes and draw a line around it to make a shoe shape. Help them draw some details in to make it look like a shoe that has a tongue and some eyelets to thread laces through. 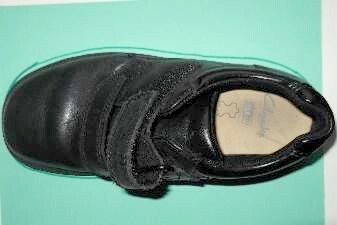 They may not have footwear that lace up because many children`s styles that are manufactured in this modern age have Velcro fastenings. When they are happy with their design, cut the shape out for them. Have plenty of colored pencils or felt tips at hand so they can do some coloring in. They love this part of it making them feel they are creating most of the project. 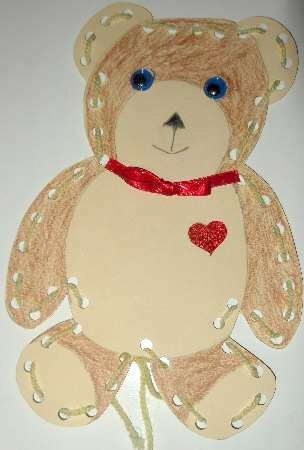 Children aged 4+ can stick some sequins and other decoration to give the card an authentic look. 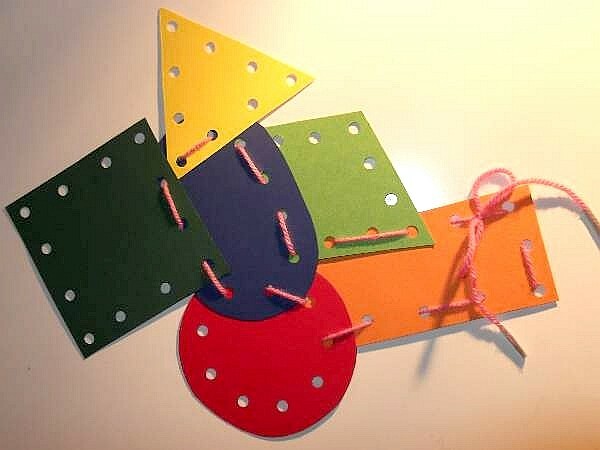 Teachers and parents will need a hole punch to punch the eyelets spacing them as evenly as possible. The children can use real laces with the ends already hard coated, plastic lacing used for lanyards which have a variety of colors, or wool which will need the ends taped. 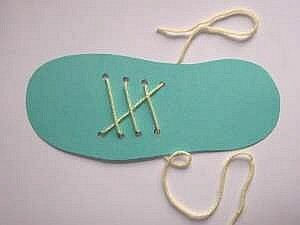 Now slowly show the children how to thread their shoe lacing cards. When you have finished turn the card over so they can see how the lace goes from one hole to the next. Now un-thread and let them play with it. Some children will want you to help them do it like you and that`s fine. Others will want to lace it up their own way. Let them experiment. 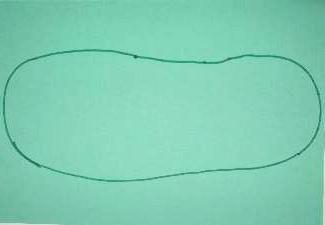 Another idea for making lacing cards is to ask the children to draw different shapes on different colored card. To save waist, have them all draw 1 shape onto a shared card with their initials on their own drawing. For example, a child draws a square onto the red colored card, and then draws a circle on the yellow card, etc. 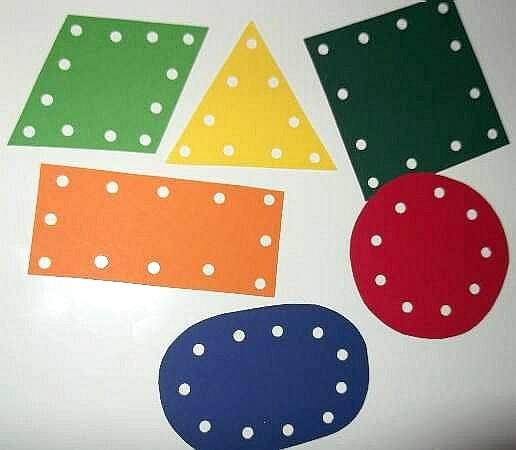 Once you have cut out and punched all the shapes each child can then collect all the shapes with their own initials on them and then construct them up as they wish. Here is a great KKC lacing cards idea. Cut a length of card 16cm X 5.5cm. Punch holes 1.5cm apart along the card by pushing into the center as far as the punch will allow. Follow with another row lining up the holes along the edge. Turn the card around and repeat the process forming 2 more rows. You should end up with approximately 40 holes. That is 4 rows of 10. Now show the children how to make patterns by weaving the wool in and out of the holes using different colors. When they have finished, tie the ends and save as bookmarks.